Are you having trouble with your car overheating? It can be a frustrating problem to deal with and diagnose. This article will go over some of the most common reasons why cars and trucks overheat. One of the most common reasons for a vehicle overheating is a stuck thermostat. It can stick or freeze in the closed position blocking the flow of coolant to your engine. The easiest way to check if your thermostat is not open is to feel the upper radiator hose. Once the engine warms up it should become warm. If it does not get hot the thermostat is probably not opening. A second common cause of overheating is a leak in your vehicle’s cooling system. If your vehicle is loosing coolant there will not be enough left in the vehicle to keep it cool. This is easy to diagnose as the radiator will be low on fluid and there will probably be a pool of coolant on the floor of your garage. Look for leaks in the most common places like around hoses and around the welds of your radiator. If you can not find the leak you might need to take it to a shop to have the cooling system pressure tested. The third cause is a faulty water pump. The water pump is a vital part of your cooling system since it is responsible for circulating coolant through your engine. With a faulty water pump your vehicle will not run for more than a few minutes without overheating. The fourth cause of overheating is a bad cooling fan. There are two types of fans, electric and mechanical. The electric fan should come on automatically once the vehicle reaches operating temperature or when the A/C is turned on. If it doesn’t you should have it replaced. The mechanical fan will run all of the time but has a clutch which makes it turn faster when the engine heats up. With the car turned off the fan should not turn too easily especially when the vehicle is warm. You can also check for signs of leakage from the fan clutch. If you see any problems have it replaced. The fifth cause of overheating I will talk about is a clogged radiator. Over time the radiator can accumulate deposits of rust and debris. This is especially true if radiator fluid has not been flushed on a regular basis. If you suspect a clogged radiator you should take it to a shop to have it professionally cleaned. Those are some of the most common cause for vehicle overheating. Vehicle overheating can cause a great deal of damage to your vehicle. If you are experiencing trouble be sure to fix your vehicle or take it to a quality mechanic as soon as possible. 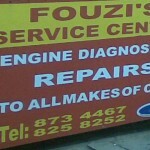 You can contact fouzis service centre for your car overheating problem and repairs. 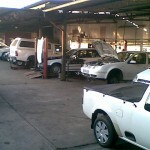 Learn about online auto repair [http://www.thecarproblems.com/AUTOMOTIVE SERVICE CENTRE] at the authors website on car, and automobile repair. 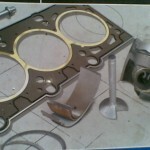 I, Fouzi thank you for your visit and subscribe for free information,quotation and prices for your car repairs.